The enterprise is entering a new “post-digital” era, where success will be based on an organization’s ability to master a set of new technologies that can deliver personalized realities and experiences for customers, employees and business partners, according to Accenture Technology Vision 2019, the annual report from Accenture that predicts key technology trends that will redefine businesses opportunities over the next three years. 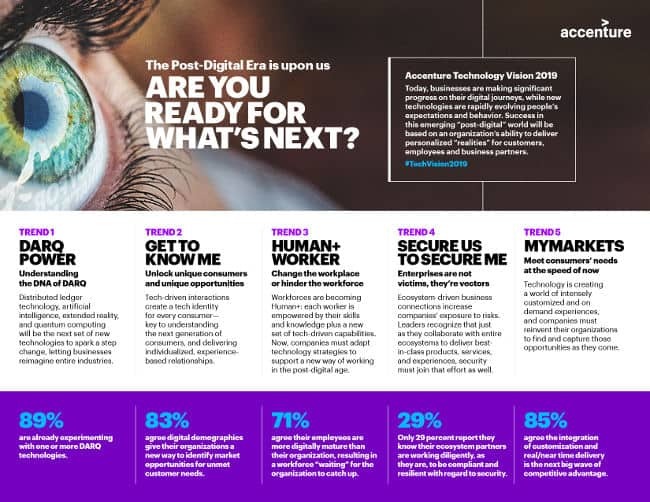 The enterprise is entering a new “post-digital” era, where success will be based on an organization’s ability to master a set of new technologies that can deliver personalized realities and experiences for customers, employees and business partners, according to Accenture Technology Vision 2019, the annual report from Accenture that predicts key technology trends that will redefine businesses over the next three years. • DARQ Power: Understanding the DNA of DARQ. The technologies of distributed ledgers, artificial intelligence, extended reality and quantum computing (DARQ) are catalysts for change, offering extraordinary new capabilities and enabling businesses to reimagine entire industries. When asked to rank which of these will have the greatest impact on their organization over the next three years, 41 percent of executives ranked AI number one — more than twice the number of any other DARQ technology. • Get to Know Me: Unlock unique consumers and unique opportunities. Technology-driven interactions are creating an expanding technology identity for every consumer. This living foundation of knowledge will be key to understanding the next generation of consumers and for delivering rich, individualized, experience-based relationships. More than four in five executives (83 percent) said that digital demographics give their organizations a new way to identify market opportunities for unmet customer needs. 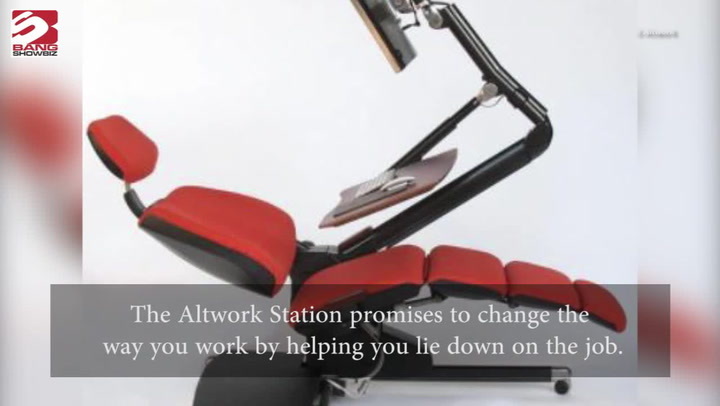 • Human+ Worker: Change your workplace or hinder your workforce. As workforces become “human+” — with each individual worker empowered by their skillsets and knowledge plus a new, growing set of capabilities made possible through technology — companies must support a new way of working in the post-digital age. More than two-thirds (71 percent) of executives believe that their employees are more digitally mature than their organization, resulting in a workforce “waiting” for the organization to catch up. • Secure Us to Secure Me: Enterprises are not victims, they’re vectors. While ecosystem-driven business depends on interconnectedness, those connections increase companies’ exposures to risks. Leading businesses recognize that security must play a key role in their efforts as they collaborate with entire ecosystems to deliver best-in-class products, services and experiences. Only 29 percent of executives said they know their ecosystem partners are working diligently to be compliant and resilient with regard to security. • MyMarkets: Meet consumers at the speed of now. Technology is creating a world of intensely customized and on-demand experiences, and companies must reinvent their organizations to find and capture those opportunities. That means viewing each opportunity as if it’s an individual market—a momentary market. Six in seven executives (85 percent) said that the integration of customization and real-time delivery is the next big wave of competitive advantage.